Alistair Lindsay practises exclusively in competition law, specialising in merger control, cartels/restrictive agreements, and abuse of market power. He is the co-author of “The EU Merger Regulation: Substantive Issues” (Sweet and Maxwell; 5th ed, 2017, jointly with Alison Berridge), which was described by a leading partner in a review as a “masterpiece“. He was twice listed as one of the top 40 antitrust lawyers in the world aged under 40 by Global Competition Review. 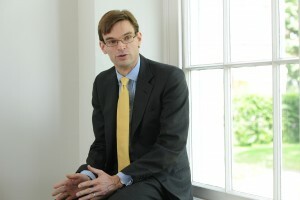 He was a partner in Allen & Overy LLP from 2001 to 2009. He was described by Legal 500 as “a brilliant barrister“. Alistair advises extensively on merger cases at the Competition and Markets Authority, on appeal, and under the EUMR. “The EU Merger Regulation: Substantive Issues” (Sweet and Maxwell; 5th ed, 2017, jointly with Alison Berridge), which was described by a leading partner in a review as a “masterpiece“. The “Market Definition” chapter in “European Community Law of Competition“, Bellamy & Child, 6th edition (2008) and 7th edition (2013) (jointly with Nick Scola).